September marked the busiest month on record for the support team. We opened 634 cases in September versus 484 in August, and 488 in July. The previous high was 583 which occurred in March 2010. This number makes us wonder what are our customers are asking for help with. Some of the most common topics included installation inquiries and a number of questions around the newest version of Excel. As of the current version 10 release, we do not fully support MS Office 2010. It is on the product roadmap for version 10.1, which is due out in the first quarter of 2011. If you are currently using Excel 2010, you can still use TRANSACTION, RUNNER, and QUERY, but will be limited in your use of the RUNNER add-in within Excel. We are also seeing a number of questions about message screens occurring during some, but not all transactions. In the 8.5 version of transactionSHUTTLE (now called TRANSACTION), we introduced a new feature called “Skip Screen If Not Found”. This allows TRANSACTION to bypass a screen if it doesn’t come up during the run of a transaction. To record this, you will want to make sure that the message comes up during the recording, so it can be included in the script. Then select the screen value in the mapper and open the Properties sidebar. Check Skip Screen If Not Found and then save the script. This new feature doesn’t work inside of a Loop command, but should help with messages in Master Data Creation and change transactions. We are always trying to find innovative ways to overcome the challenges that our customers face, and analysis of Support Cases is one of the best ways to do that. 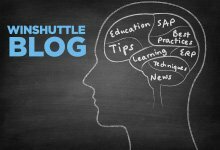 Check back for more Support Reports and see what is being worked on for the future of TRANSACTION, QUERY, and the rest of the Winshuttle family. Why MM17 isn’t the answer to your question!